The skin is the body's largest organ and accounts for roughly 18% of an adult's weight. It serves as a protective outer layer that keeps in moisture and keeps out invasive organism (like infections). It protects our organs against injury. Our skin also helps regulate the body's temperature and has self-healing capabilities. For these reasons, proper skin care is very important for anyone looking to live a healthy, long life. If you have any questions regarding proper skin care and skin therapy, please don't hesitate to contact our Panama City dermatology office. The best way to maintain healthy skin is to prevent skin damage from occurring in the first place in combination with proper skin care. Wrinkles, age spots and leathery patches are all the result of skin damage from overexposure to ultraviolet radiation from the sun. 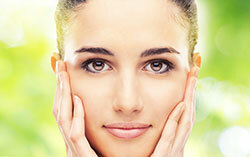 But the aging process for skin is unavoidable. As we age, skin becomes dryer and thinner. Repeated movements of facial muscles, such as frowning, smiling or squinting, cause wrinkles over time. Stress, gravity and obesity also contribute to aging skin. And because the skin is thinner, it is more susceptible to bruising. For more information on skin care and related treatments, therapy and more, please contact Dermatology Associates Skin & Cancer Center in Panama City, FL by contact form or by giving us a call at (850) 769-7546 today!